WHY IS SPF SO IMPORTANT FOR YOUR SKIN? 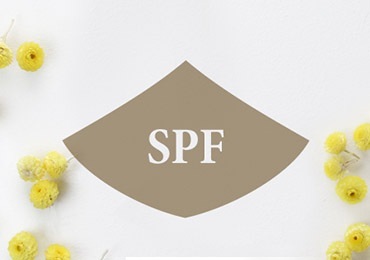 SPF has considerable benefits for your skin, notably protecting it from UV rays that cause wrinkles, loss of firmness, dullness and uneven pigmentation. 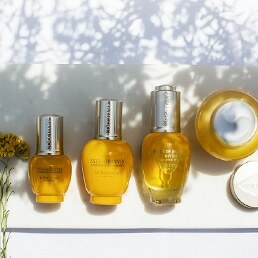 Products with added SPF, when applied regularly, have been proven to help prevent these visible signs of ageing. 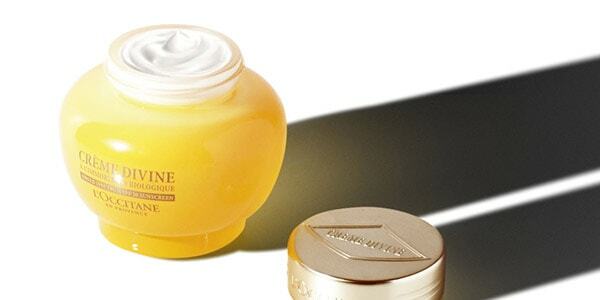 Divine Cream SPF 20 protects the skin against damage cause by UV rays while visibly reducing signs of ageing. SPF isn't just for sunscreen. 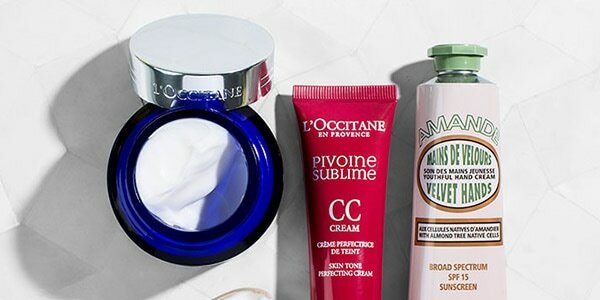 When you use everyday beauty products with SPF included, such as L'Occitane's Peony CC Cream and Precious BB Cream, you can help protect your skin from UV damage as well as benefit from the perfecting and youthful properties of the cream. Multi-tasking! 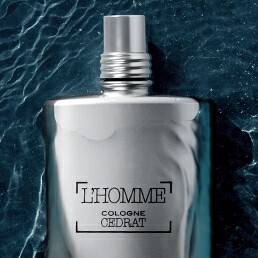 But why do you need added Sun Protection Factor away from the beach? You might not know it, but you are also vulnerable to sun damage in the city, where pollution and UV rays are a bad combination for your skin. It's not limited to the summer either: you're still exposed to UV rays in the winter, and the cold temperatures can often mean you don't notice the exposure. 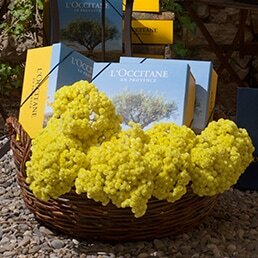 L'Occitane's skincare range uses innovative and tailored formulae to provide hydration while remaining light and comfortable to wear. 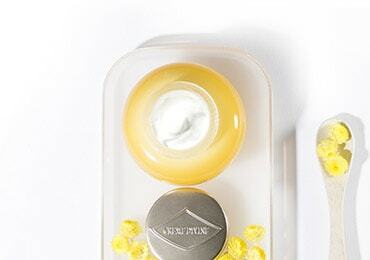 The Precious and Divine face creams, for example, have been reinforced with SPF to be worn under makeup or alone, with none of the residual shine or stickiness that are often associated with SPF. Not only do they help protect your skin from UV rays, but they work throughout the day to help prevent the visible signs of ageing associated with sun exposure. In addition to your face, the neck area, hands and lips are constantly exposed to UV rays, and it’s important to protect them from signs of ageing. The Peony Lip Balms, ideal for daily use, protect your lips thanks to their sun filter (SPF25) and nourish them for up to 8 hours. 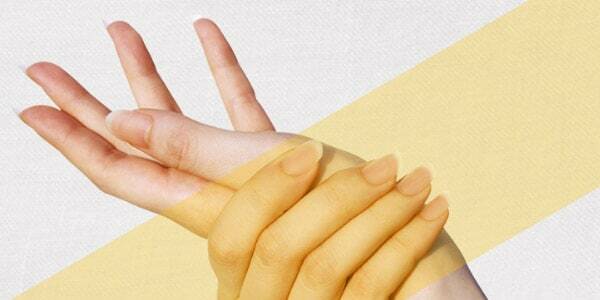 Hands are one of the first areas to show signs of ageing (dark spots, slackening, etc. ), so the Almond Velvet Hands SPF 15 is perfect for keeping in your purse and applying whenever you need a dose of moisture. Some people enjoy a sun kissed finish to their skin, while others prefer to stay untouched by the sun's rays. Either way, SPF should be an essential part of your beauty routine: the World Health Organization recommends an SPF of at least 15. Whether you're planning on catching some rays on the beach, or would rather relax in the shade, use a cream with SPF and reapply every 2 hours to protect your skin while working to achieve the skin tone you've been dreaming of. 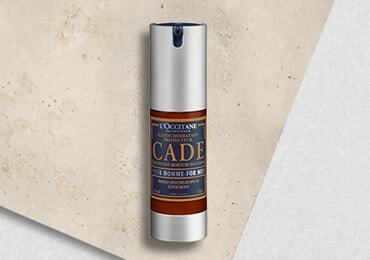 L'Occitane's Cade Protective Moisturising Fluid SPF 20 has been created especially for men's skin: the light formula hydrates the skin all day long. It is recommended that you protect yourself from sun exposure from as early an age as possible. Depending on your plans for the day and your skin's needs, you'll use different skincare with SPF.